We woke up just 3 hours after we had gone to bed to get back to the airport for our flight to Munich. By the time we got our bags, rented the car, got lost and finally made it into Munich to the Sheraton Four Points it was almost 5pm. We couldn't believe it when we turned on the news and saw the protests in Tahrir Square which started just a few hours after we had left. We checked out the Marienplatz and then had a German dinner at Der Pschorr. Packing the car was a major undertaking but somehow we got everything and everyone in there with no room to spare. We went to Dachau today and had a wonderful tour guide who works with survivors. It was an amazing and really moving memorial. Afterward we had a quick lunch and then drove to St. Anton. We checked into our really nice hotel, the Schwarzer Adler and had a delicious dinner at their restaurant. First day of skiing! 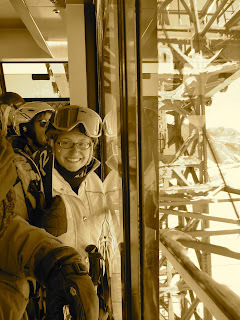 We rented all our gear at Intersport and had a fun day of skiing, except for an ill-advised run down ski route 16. At the hotel's pre-dinner reception we met the woman who owns the hotel - it has been in her husband's family for over 150 years! 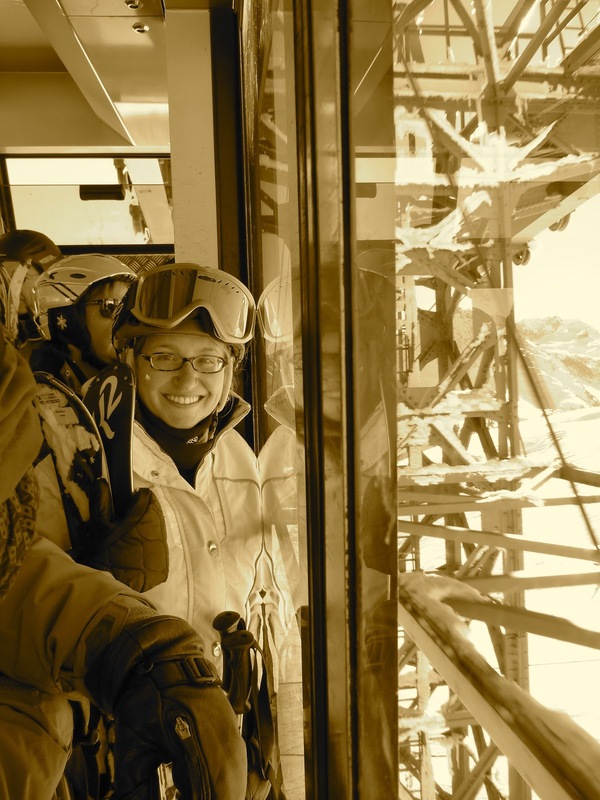 We did a full day ski tour with Harald, a former professional ski racer and the head of the St. Anton ski school for 7 years. Now he does the occasional ski tour and raises goats and cows. We had a great time with him and he always found us the nicest softest snow. That day we discovered the excellent après ski spread at the Shwarzer Adler - coffee, tea, hot chocolate and trays of Austrian pastries. We skied over to Zurs today. Actually, you ski over to a bus stop about half way between St Anton and Zurs. It was a fun day and it looked like a cute town. 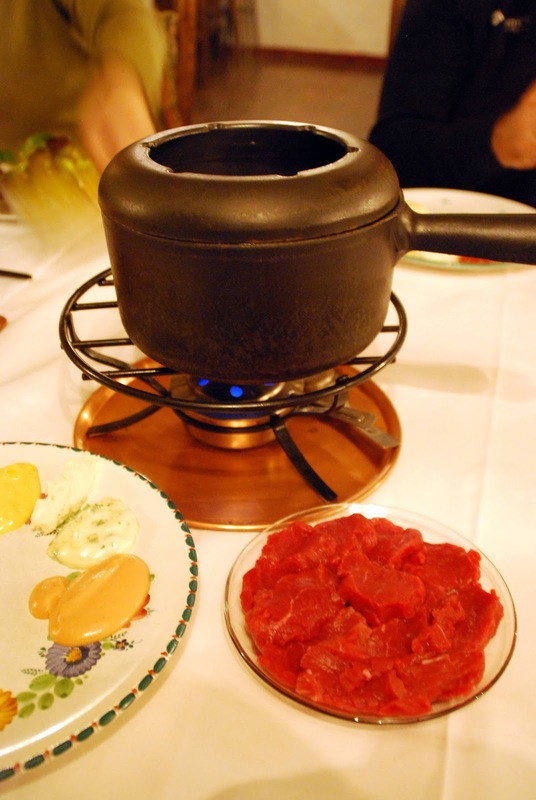 We had dinner that night at a fondue restaurant, yum! Lynda and Jesse took the day off and read, wrote blog posts and started to plan India. Dave and Steve did a full day off-piste ski tour, complete with hiking. 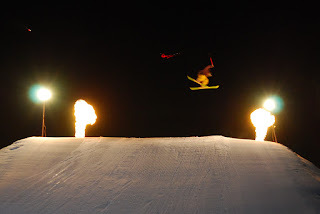 That night Dave and I went out to watch the weekly ski show, which highlighted the history of skiing and included some fun synchronized skiing and tricks. Naked people statues are all over the mountain! 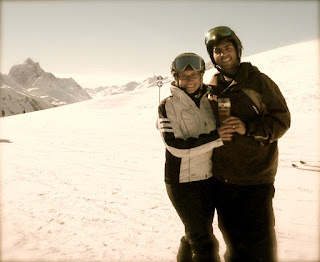 We drove over to Lech and spent the day skiing over there. Gorgeous scenery just like everywhere in St. Anton! That night they had live music at the hotel bar. So glad you had a wonderful time in St. Anton. Somehow we missed the naked people statues when we were there. I guess we'll have to go back. Hopefully with the Meshkov crew. What a great time we had! Looking forward to another adventure with you.